Since hundreds of Eritreans perished off the coast of Lampedusa on October 3, there has been a stark contrast between the reaction of the world and that of the Eritrean regime and its most ardent supporters. In the very early hours of October 3rd, a 20-meter 3-deck boat en route from Libya to Italy experienced mechanical problems just a couple of kilometers off the shores of the island of Lampedusa, Italy. The boat, like transports managed by human smugglers, was overcrowded: it had almost 520 passengers. The passengers could not call for help because their mobile phones were confiscated in Libya. Survivors say that they used their flashlights to draw the attention of other boats and that they cried for help, but they received none. At one point, two boats came nearby, one even circled them, but there was no help. At about 2:00 am, the captain, a Tunisian, in an effort to draw the attention of rescuers, set some bed sheets on fire. But he did this without first securing a safe, isolated place and without communicating his intentions. The fire he ignited, combined with fuel leakage from the boat, expanded. To avoid the fire, the passengers moved to one end of the boat and, as they noticed that this was capsizing the boat, they would move to the opposite direction, all while fighting the now raging fire. While this back-and-forth movement was occurring, some of the passengers (especially the very young) fell of the rails to the sea; still others jumped to the sea. Those who jumped off the boat, those who were jerked into the sea, who could swim and were fortunate enough not to be dragged down by those who couldn’t, or by the weight of the boat, swam for four hours to the shores. Nobody had life jackets which is prohibitively expensive in the bazaars the human smugglers manage. 153 people survived: 152 Eritreans and one Tunisian (the captain). Almost all of the survivors are male (only 5 were female) and the average age of the survivors is 22: the youngest is 11 and the oldest is 44. Survivors report (Assenna radio) that of the 520 passengers, about 6-8 were Ethiopians but the rest were all Eritreans. About 350 passengers, presumably Eritreans, and disproportionately female and couples, are dead. The survivors, in co-operation with Italian immigration office, took the initiative to compile a list of the dead and to call their family in Eritrea and give them the sad news. As of today, according to Abba Mussie Zerai (Voice of America radio), the rescues are trying to find 80 un-accounted for bodies. Pope Francis, who has taken a leadership issue on how Europe treats refugees even before the incident–to symbolize its importance, he made sure that his first papal visit was to Lampedusa– set aside his prepared notes to talk emotionally about the shame and how outrageous it is for the world to be indifferent to the plight of refugees. Italy proposed to provide posthumous Italian citizenship to the dead. Eritrean civil society, facebook pages, in the Diaspora initiated a petition to pressure the Eritrean regime to repatriate the dead. 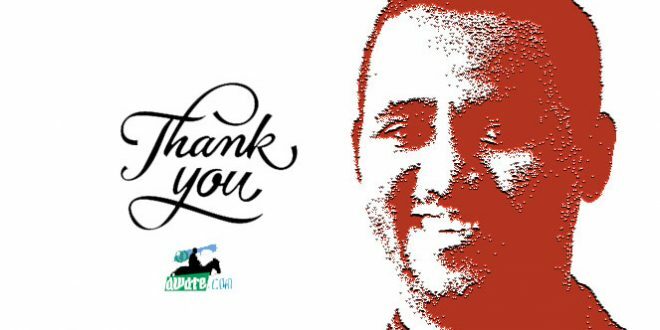 Taking the initiative, they reached out to Italian authorities who provided details on the process of repatriation: Click here to sign the petition. On October 9th, European Commission chief Jose Manuel Barroso, while touring Lampedusa, disclosed that the EU will give Italy 40 million to deal with its refugee crisis. On October 4th, Yemane Gebremeskel, the director of the President’s office, tweeted (on Twitter) “Condolences to the families who have lost their dearest ones in the Lampadusa disaster. Time 4 urgent action 2 ensure this never happens.” This line was featured prominently on tesfanews.com without disclosing that it was a re-write of the tweet. In Eritrea, the state media did not cover the news that everybody in the world was discussing. This wall of silence blanketed the state media from October 5th to October 9th. Flags were still flying at full mast. Its supporters, at Paltalk sessions, website comments section were either implying that the Eritreans are actually Ethiopians, or that they have nobody but themselves to blame for the tragedy. Some were writing entirely irrelevant issues to deflect attention. As the loved ones of the dead were receiving phone calls from Lampedusa, the Eritrean regime and its media had no words much less words of comfort. On October 9th, the Eritrean regime issued a press release where it, for the first time, gave its condolences to Eritreans and the bereaved family members, but most of the press release was dedicated to deflecting blame to the United States for being behind human trafficking whose sole purpose is to empty Eritrea of its youth–this after all previous campaigns of instigating border conflicts and illegal sanctions had failed–and that the regime has facts and is willing to make its case. This press release was also read in Eri-TV. 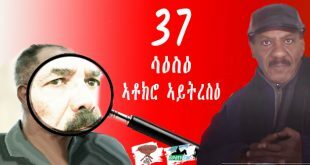 On October 9th, Eri-TV newscast attempted to explain why it was reporting on something that happened a week earlier–because the government was conducting a “careful study”–but then had nothing to report about the alleged “careful study.” In fact, other than reporting that news had been reported, it failed to disclose the magnitude of the tragedy. On October 9th, Yemane Gebreab, political director of the ruling party and presidential advisor, was interviewed by Voice of America. He indicated that for Eritreans who die in exile, to be repatriated home for burial is “their right.” And in this regard, particularly since it is all the wish of the bereaved families, his government is in discussions with Italian officials to make it happen. 1. 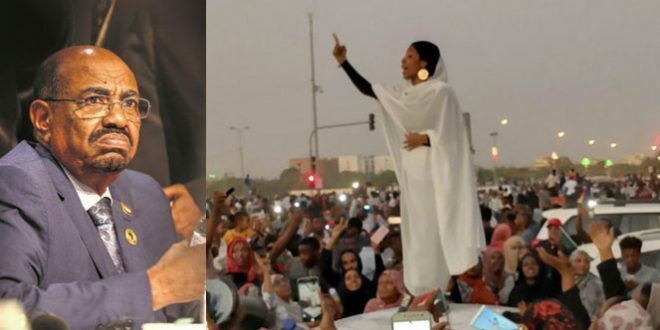 Why did you, the spokespersons for the regime, have nothing to say between October 3 and October 9th, in media accessible to Eritreans in Eritrea? 2. Why didn’t Eritrean State media cover the Lampedusa tragedy between October 3rd and October 9th? 3. Yemane Gebremeskel: Is your position that the exodus of Eritreans is, as you told Fox News/AFP on August 20th “not a big issue” http://www.foxnews.com/world/2013/08/20/eritrea-dreams-ending-isolation-boosting-development/ or is it, as you say now, a big issue that deserves urgent action? If it is the latter, what changed between August and October since your government’s position is that the Lampedusa incident is one of many? 4. Yemane Gebreab: you said that it is the right of every Eritrean to be repatriated home for burial. But you have first hand information that this right is frequently violated as assurances you personally gave the widow of your own colleague, Naizghi Kflu, that her husband would be buried in Eritrea were not kept. Why should Eritreans believe your assurances that the right of Eritreans to return home to be buried in their birthplace will be honored? 5. Why is it that every single time Eritreans face a massive tragedy, or they are dragged into wars, that the head of state conveniently disappears? Is he aware that being a president is not just lecturing, touring, hectoring and presiding over rubber stamp cabinets but actually consoling citizens and showing leadership in times of crisis? 6. Do you intend to evaluate your policies to see what their contribution is to the exodus of Eritreans or is your claim that the United States is to blame your final answer? And since you have stated often that you are too powerless to influence Washington, have you accepted tragedies like Lampedusa as recurring events, a price to be paid to “protect our sovereignty”? These are all rhetorical questions for which we do not anticipate answers. We raise them to point out that the long-suffering Eritreans deserve better, much better, than a regime which never owns up its mistakes and is always blaming others for its own mess. At minimum, we deserve a government that does not reduce Eritrea into a hellish police state whose most productive citizens–its youth–pay any price, bear any burden, to abandon it. Because, unlike them, we know that the youth are not “going out for a picnic.” The reality of exile is that most people who leave their countries never return home. The Isaias Afwerki regime must go and its entire criminal enterprise must be dismantled now. All of us who consider ourselves agents for change must recognize our strength–there is no doubt that the panicked reaction of the regime is the result of our pressure–and must work in a coordinated effort towards one goal: ridding Eritrea of the Isaias Afwerki regime and its nasty, incompetent, brutish infrastructure. In Eritrean tradition, tragedies are occasions for people who gather to forgive each other and pledge a new start. Whatever it is that our civil society, political organizations, media outlets (yes, including awate.com) find cause to separate from, they must now use Lampedusa as an occasion to come together. Quite simply, our people deserve better and we don’t have much time. rest in peace to the inocent once! strength to their family and eritreans. i heard of the story of the mother and the infant realy heart breaking. so sad and disturbing thing to her. i know this is one story of the thousands of tragedy eritreans have facing each day hour and second. its about eritreans choice its about eritrians determination its all in their hand. i had a lot to write but it would be enough for me as human as good citizen of the world especially as a good neighbor of yours i hope you understand me … may god bless eritrea and its people! Leadership, resources, intellectuals and strategic geographic position will enable Eri to be like Singapore. We have it all and hence will excel all African countries. Wish this Eid will be our confidence replenisher to root out the achille heel of our identity. A brutal and criminal regime is dead in moral and real life issues. The maffia like regime never ever will heed peoples agonies and hardships because it created them purposely with meaning. I blame, the low ranked military forces, soldiers still think as nation safe-guarders, protectors, guardians and the worst of all: heroes of our people. Don’t you see they are the first betrayers of Eriterean people, its youth fleeing and its president mocking and joking the death!! I blame those who rationed with kelashinkovs to protect the drunkers; generals and the political elite in the streets of cities and towns in Eritrea, instead pointing their GUNS against these brutal dictators agents and himself and liberate the nation from its barbaric system of torture. You have the guns what blessings do you wnat than using it properly to silence this voice of torture and abbassdor of death for our youths and people at large? I still believe that Eri will be Singapore! Yes , Singapore , when hell freezes, Have u ever seen an African country that used its rich resources to benefit the mass? Have you ever seen an African country where the wealth has trickled down to the bottom below? On the other hand ,have you ever seen a non prosperous white western country? Dictator Isayas’ supporters were beaming with delight that goLd will make Isayas rich and he will stay in power for years to come .Crap, the companies have bigger share and unsuitable contracts that benefit dictators not the countries they run. There is nothing wrong with dreaming. Great things come to fruition from simple dreams. And, Yes, Eritreans were sold on a dream to emulate Singapore. There was nothing wrong with that. It is regrettable, however, that few Eritreans, including the tyrannical leadership which planted the idea of the Singapore model, knew what the philosophy behind Singapore’s miraculous success was. Some two decades ago, I heard Lee Kwan Yew, the brilliant architect of Singapore’s success, articulate how his nation was able to pull ahead. He summarized the philosophy he laid down for his tiny nation as follows. Yes, Singapore arbitraged the inefficiency of China’s economy, and others in the neighborhood. China at that time was a prisoner of a futile ideology. (Not anymore, thank god.) Singapore went through a painful divorce with Malaysia. In fact, it was voted out of Malaysia by the Malaysian parliament. Singapore did not want to split from Malaysia. But that was something it couldn’t influence. It was painful. So Lee Kuan Yew made the best of the situation to lead his nation to an economic miracle. That was first rate leadership. What is the lesson of Singapore? Just wishing to emulate Singapore, without more, would be an empty meme. One must cultivate the necessary temperament and formula. I cringed when ever I heard the strident voices Eritreans who shouted they wanted to be like Singapore. They were clueless about what it took to be like Singapore. The crux of Lee Kuan Yew’s philosophy was “Neighborliness”. Unfortunately. That was a concept wholly alien to the Eritrean leadership and to the legions of its intoxicated minions. Neighborliness was neither part of their diction nor their economic strategy. It still is not. Rest assured the Singapore dream is dead. It may have been possible at some point but no longer. Eritrea cannot arbitrage any inefficiency Ethiopia might have had. That could have been achieved only with some kind of cordial framework, a potential that was snuffed out by arrogant, dim-witted hot-heads who never were used to reflection. Economic vision requires a different mindset and temperament, need it be said again. To be sure, neighborliness is still the cardinal principle which promises salvation to Eritrea. No nation has achieved economic progress without ENERGY, WATER, and TRADE! Sorry, I had to speak loud in case the point did not translate forcefully. Those of you who are used to political pow wow, the onus is on you to take the point to heart if you truly love your country. There just is no other way, I am afraid. Well said, It is good to dream big and set your standards high. As you have said there was nothing wrong for Eritreans to emulate Singapore. The problem with the dream of Eritrean nationalists was not to create a win win scenario. The sentiment was for them to win Ethiopia have to loose. This is a zero sum game. In the past, I have been optimist even without sufficient ground. I was ready to believe and to trust! Now, I wish it was even partly real: Italian having remorse! In their turbulent, never-to-evolve to meaningful and functional democracy, I waited too long to understand that the mafia is a medusa made in Italy. Fortuna volle! So far are those people from us and yet we were their closest African acquaintance. Today, in our tragic hours, we should benefit from their knowing. By now, Italian political elite would have matured and would have led that nation within Europe to higher stage. Perhaps, their advance in democratic governance would have helped us in resolving some of our problems. However the worse in fact is to come. Italian society is inept, my people, please, read L. Barzini’s “The Italians” if you can. It is a terse biography of that people in that divided house. Though one is liable to commit error in a democracy as in any other system, one rarely correct them. Hypocritical measure would be instead a device to soft landing. The people who admit their errors and correct them, would greatly improve the democratic life. I believe that the European kind or any other democracy would prove itself, as the best of political systems. But Italian people divided as they have ever been, since the founding of their Unita’, could hardly be able to be of assistance to our migrants. They would grant nationality to the dead deny to the living: I find that simply bizarre. Yet, if it was not for their inadequate political system they would probably do well in the field of sciences as well as in the humanities. They being hybrid race from the Roman ages to the colonial ages, they are richly endowed as individuals. We have seen how well some personalities and small city-states were doing in the period of the Citta’ Marinare and during the Renaissance. Historians of Italy prefer to tell us about their glorious artistic legacy and the prosperity of their city-states and about the work of Dante, Michelangelo and such figure but at some point, the citizens of those mercantile city-states Genoa, Venice, Florence … have been selling slaves from Western to Eastern Europe, taking captives and buying selling each other! Slavery was widespread but those people would tend to talk about African slaves as if they have been pious, civilized societies, Christ’s soldiers and as ever enjoying citizens’ rights. We African people expect them to be better. In our near past history, we already saw the piling of Italian colonial crimes. As our youth continue to migrate to escape the evil regime, Italian guard will be waiting to drown them and so shatter our hope again and those of our youth disembarking into those unfriendly shores. In drove, shall they reach places not far from the mythical Shylla and Charybdis and shall be left to perish. Let us not be naïve, let us be alert instead and be ready for any eventuality. We should not expect anything from Italian political class. The only sensible thing to do in the present predicament is to restrain our migrants and hope they would heed. If not help them to find a breach in the fortress: let those who could swim distances measured in km.. They will inevitably face danger or meet a tragic end. Make no mistakes, those people will play tricks and will deny it flatly. If they do not join hands with their organized crimes, they will leave some grave facts unexplained and buried in the bloody Mare Nostrum. So my dear people it is a mass suicide. We must look for alternative solution and find them. Europe is not a destination for us. A commission of inquiry was set up. In the 1st. half of the 1890s arrived and toured Eritrea for a fact finding mission. They intended to assess the colonial viability of our country. F. Martini, one of the prominent personalities took part. He was a writer and journalist and a parliamentarian and he was said to have been opponent to colonial venture of any sort? They concluded that there was no evidence of any major crimes committed against the local population or any individuals. Though, Livraghi got some jail sentence and his companion was acquitted, if I remember right. There was reason to question the ruling of that brava gente and there is now. My memory is fading! I have no time to consult the relevant texts. But in my younger years, I with other fellow students going to Italian school, were following their politics since the time il Sig. Fanfani “cambiava marcia”! Then as now, the Italian nation is still in the making. The regionalist division is glaring. Just imagine a teacher from the southern region may not be allowed to work in the north. The same inefficient and frustrating court systems are crippled by long delay and known by a notoriously farcical or cruel procedure and too often suspected of mafia collusion. The political class has to deal with infighting, insult and physical attack within the parliament. It is in many ways a paralysed society. We have no reason to trust Italian socio-political culture. And those of us who could travel to the coast of Libya and Tunisia would do great service in saving Eritrean life by other means, if possible. No doubt, there shall be young people ready to try their luck, ignoring the advice of their countrymen and humanitarian organizations. If ever they are able to reach those coastal areas, there shall be people who will try to prevent them. God knows how many are already in the sea planning to reach the northern shores. And on the African side there might not be any UN shelter that our youth would approach and get help. Time and again our migrants would face the callous Italian authorities on their own. It is inevitable that African countless casualties will occur. The Italian authorities shall prevent anyone daring to undertake the suicidal journey and expect them to drown. They will also punish those positive minded fishermen and ship owners doing rescue work. All this is meant to teach the migrants a lesson and eventually will be put on top of the pile of the colonial crimes! It will not prove civilization but prove the savage Italian measures accompanied by typical shameless excuse, denial and hypocrisy. Twice a week perhaps once a year… late or never. Perhaps the “E” needs to be defined first… i.e. e. Thrice! There is once argument that has yet to be made or I am yet to encounter with regards to Lampedusa. Lit up on the sight of it. What a wonderful painting by Micael Adonai. Priceless painting of Hamid Idris Awate! The Link is wonderful! It is sad we are rushing to score cheap political points, using the disaster. Finger pointing to one individual leader or groups has not eliminated the recurrent disaster in the deserts or seas. We have been singing ‘Isaias dictator’ ‘Eritrea the North Korea Africa’ etc. Interview with Eritrean survivors with BBC revealed, they were running away from poverty and the Army National Service of the country, which can be traced to the unresolved border issue. Let focus how to end the root cause of the problem. If it was all about poverty why is it that Eritrea has disproportionally high number of refugees equal to that of war torn Syria? You try to bring that crap of border issue, that is exactly what Isayas wants you think. He started the Badme war so that attention will be diverted and he could arrest anybody in the name of national security. Just because a country has a border dispute with its neighbor does not mean that it is doomed to poverty. There are many countries in the world whose border disputes with their neighbors have not deterred them from achieving prosperity. Just google the words ‘territorial disputes” and you might be surprised at the number of countries with border disputes. You seem to have a problem with the description of Eritrea as “the North Korea of Africa”. I am sure that you know that North Korea and South Korea fought a bitter war and in the 1970s both of them were poor countries. Today, North Korea is one of the poorest countries while South Korea is one of the most prosperous countries. What is the main difference between the two countries? South Korea is a democratic and market economy country while North Korea has a dictatorship and a centrally planned economy. North Korea is also one of the most repressive regimes in the world. There is no freedom of speech, no freedom of press, and no freedom of assembly in North Korea. Eritrea generally shares the characteristics of North Korea, and that is why some call it the North Korea of Africa. I can’t possibly seem to get over the horror. I am petrified to my bones. I have never heard anything like it. What probably happened was that the atmospheric pressure at the very bottom of the see is very high and it probably caused tremendous pressure on her womb where the baby came out prematurely. Please forgive me, I don’t mean to take away the human side of the story by injecting “technicality” into it. Rather I just wanted to shed some light on it. May The Almighty God, God of Abraham, Isaac and Jacob bless us all. Good question but those 6 days silence like as if there was a coup d’état in Asmara have nothing to do with searching who were the victims. Those 6 days spent by the pfdj like 6 years non stop nightmares each day bringing more Cold sweat and forcing the pfdj people to pray for the gods they dont have. Since they have forgotten how to pray, even their praying was so wired. All the 6days they were praying ‘Our god please make those victims from any where but eritrea’. Their 10 lines two paragraphs ‘press statement’ says it all after a nation lost 300`+ of its own Young peopl. In their good old days out of the blue they used to Write 10 pages how to protect the world from USA and CIA in their press statement. The curse is on both of us and both woyane and shabia are responsible at least starting from 1991. Mengistu Hailaimariam must be laughing till he chokes watching all this. It is obvious you are watching to much true tv. You must be godefay from tigray. Why can you hold the same people who are responsible financing the death of this young people? Like you the the cluless diasporans? The people who financed the death of the innocent young people must be brought to face justice. It’s official! Finally DIA has come out of his hiding place and said “I don’t know the victims of Lampedusa, and if I don’t know them I can’t say anything about them. Get it? Besides, I don’t really give a diddly squat about anyone that brings some much scrutiny to my sheltered reign.” There you have it! DIA is back to his bogus job as “president”. He uttered not a single word about the “illegal immigrants from the horn of Africa”. UTTER CONTEMPT FOR THE PEOPLE OF ERITREA! OUTRAGE! Papillon, I am officially recanting my previous argument against Ethiopian intervention. This SOB got to go by any means necessary , even via Ethiopian push! HOW LONG MUST PUT UP WITH THIS DERANGED MONSTER? But he didn’t mention anything about the tragedy of our youth. Did he? I don’t read in the link. Nope, business as usual for the monster. Not only is he pretending that the Lampedusa tragedy never happened, but he is consoling the bereaved with an aggressive Giffa to ensure all able-bodies are restrained from sparking a revolt. Of course, Ygermal is being sarcastic. Would you expect the sadist entity to say anything even remotely related to the tragedy? He will brush on it in passing in another yet run-away and run-of-the-mill interview with petrified and mortified four journalists. He will start by saying, “Anne bzaEb’U b’zuH k’zareb aydelin eyee.” But as things stand, he will not make it to the next interview. Great for us and eternal break for those four journalists. you made me lost. I am poor in sarcastic play. Bisot I get you now. Thank you. In fact I am totally convinced that the despot will not allow the remains of our youth. The Italian government are preparing cemetery monuments for our victims. God bless them. Some are beating statistically impossible odds, giving birth while drowning . Death and Birth at the same moment. Death. Birth. Birth. Death. Sea. The guy most responsible for this shocking mega tragedy is having talks with Desert Locust Control Organization for East Africa (DLCO-EA). Desert Locusts are apparently top in the lists of priorities for Eritrea. Desert. Locusts. Locusts. Desert. ANOTHER tagedy with in a week? No, no, no! Ihate to live in this creazy world wher humanity has unveiled its tru ugly reality. I can pack and live this selfish plant but I donot know where I am destined for. Every thing is so dark and my tears are falling. I hate man, the ugly beast on the planet. sin is causing the tragedy, the sin of uncaring leaders and cruelity of our own brothers.Cry to Jesus, only He has the solution. He is the only one who can help you and help our country. He died on the cross so we dont have to die in our sin and go to hell. God bless you. (CNN) – A ship carrying about 250 people has capsized off the coast of Sicily, Italian news agency ANSA reported Friday. Earlier this week, another boat carrying more than 500 African migrants sank off the coast of Lampedusa. Victim of latest Lampedusa boat tragedy revealed to have been giving birth as she drowned after her corpse is found with baby boy still attached by umbilical cord. Stop hating on Isaias, please. I love him so much, I have his photo in my house. about Eritrea and even more about Eritreans, the young, the old. Basically he is just trying to do the best for Eritrea and I believe he has been very successful. No, they are just 13 people and they are ILLEGAL African immigrants. No, they are just 13 and they are Illegal immigrants from Africa and Asia. No, there was an accident and most of the dead are Eritreans, not 300. Isaias is very smart, even though he did not know who the victims are he knows who did it …Wow! What a genius!!!! He knows who secretly put fire in the boat of Illegal Africans …no no…Illegal Asian and illegal African immigrants, …no.. llegals/the Eritreans….ill-eritreans. He is in grief. yes, he is in deep grief, but the flag is not flying in half, or he is not broadcasting the condolences from other countries. But why? Why? Think! It is because a lot of countries are confused if they should send any. I am a young Eritrean, who chose their route but I survived and many Eritreans did not. But I get so angry when I see Eritreans supporting Isaias. How much more evidence do you need? What should happen to Eritreans for you to change your mind? 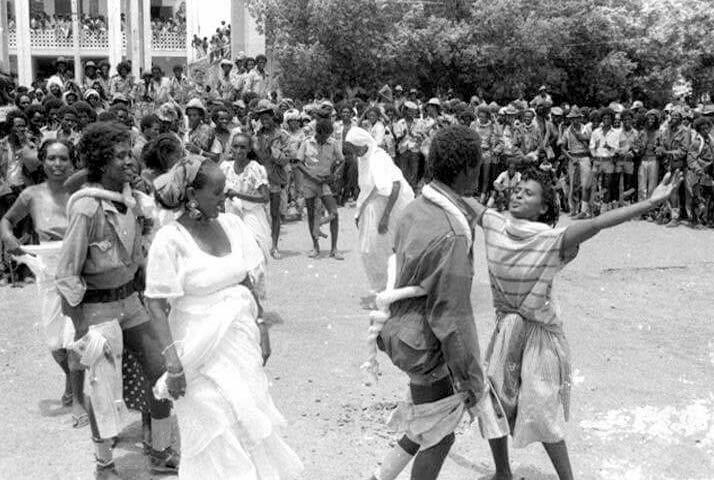 Eritreans, young, who fought for the country, GEGANU, hitsanat…but nothing. They are gone, dead ! Do you think this is going to be the last one? Fellow Eritreans, this is not a normal situation at all. It has never happened anywhere any time. A mother dying in the action of birthing! A mother gave her life, while in an intensive labor of trying to give a new life! Laboring for birth is quite a painful task, every one can imagine and every mother knows how tough it is even in hospital beds surrounded by docs. But laboring while drowning? Can you possibly imagine that? Can you tell me that life and death converging at that fateful moment and death prevailing over life is not the most powerfully unfolding unique tragic in human history? What does it symbolize the fact that the birth separation of the child and the mother is complete and yet they are lifeless and connected by the last nature’s rope? Can any power of eloquence ably describe that situation? Ertira hagerey tebarekhi. Please listen to this song to the end. I am still crying. really have appetite for religious/sect propaganda?at this time?I thought this was cheap and desperate.I have nothing against your beliefs, I am saying this is the moment for the victims.May they Rest in peace. Eritrea be blessed….Eritrea be blessed…. 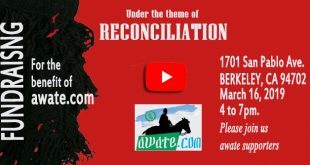 PS For the record, I am a Christian and I was present in one or two days of the weeklong “Pray for Eritrea” event that the video link shows few minutes of the event. One of the issues regarding this whole situation is that we have an opposition that dont take concrete steps. By concrete steps, means steps forward that actually will make a change on the ground. Not just manage the consequences(which is commendable) but actually trying to manage the root cause, the border conflict(some will perhaps disagree, but remove that and this so called interim regime will collapse). So here´s two cent towards some concrete steps. The world community don´t care about this conflict, at least they haven´t showed any interest in solving this. This is a great opportunity for the opposition to act like statesmen. Who of the political elite of Eritrea and Ethiopia are against solving this border conflict. 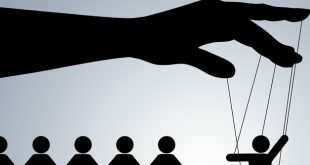 Most of us blame Isaias and his regime for showing no interest in solving this conflict, instead we should try to check their bluff or sincerity by playing an effective game. We have Ethiopias prime minister saying I am willing to negotiate with Eritrea president. Is this a game to show that we are the responsible?, we are no warmonger but Eritreas political elite are. I like to believe the Ethiopian prime minister, but everyone here knows that a politician can talk but until someone actually does anything is it just words (look at Isaias if you have any doubts words and action). The response from the Eritrea political elite or junta, is to denounce that as dishonest. So of the both are sincere, is it both of them who have no interest in solving this, or is it one part wether Eritrea or Ethiopian who are not interested in solving. We have our preference about who we want blame, including myself namely Isaias and his thugs. But we must remain objective to se who are against a peace solution. Here the opposition have a perfect opportunity and even more so since they are stationed in Ethiopia. Why dont the opposition negotiate with the Ethiopian government about a solution towards the border conflict. A solution that will be a win-win for both part. That will show how sincere the Ethiopian government regarding peace. If they respond well and negotiating begin. Then the next step would be to reach a win-win where both will benefit from the solution. 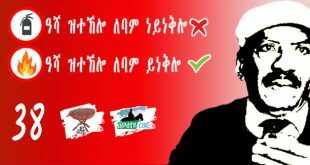 Once that is done, take that peace solution and print it at every newsoutlet in both Eritrea opposition and supporters. Then the next move will be Isaias and his thugs. If they do not respond and everybody has read it, then we know who is the spoiler and even supporters will se how they are Isaias is rejecting peace, especially when they can see the terms and deals wich will benefit both parts. That would require a opposition that would take concrete steps, that or hoping from far away for someother to do the uprising for them or actually take steps to build an army of Eritreas refuges and volunteers to topple him with violence. Great work, team Awate! Very timely and to the point! Thank you Awate-staff.Your analysis is always precise and logical.Nonetheless, we all seem to forget that we have an illegal leader seated on power by his limitless power and dominance over the so called generals, ministers and soldiers of the country.His illegality permits him to do anything he wants whenever he wants.Blaming him for not reacting right away or not showing condolences is quite irrelevant as compared to all the damages he has caused since the last 22 years. This is only downplaying his crimes.This is not the 1st Lambadusa tragedy and it will for sure not be the last as long as this country is under this demon.We will mourn, write and as usual wait for the next misery.I always keep wondering what more should happen to this nation until his followers start to realize that the country is hoocked up in a vicious circle of miseries paving its way towards hatred and civil war. How can we let one single person ruin a whole nation ? Whos is he afterall ? Jebena will never forget Tv Ere. 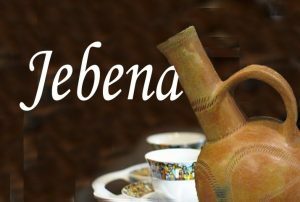 and today please open Jebana …….ቲቪ ኤረ!!!!!….. I am not in order to humar(Hatef-F-tef)here and to pass the time:who took their life,Who push them through to this classic? one started with these thing and then…. Very commendable and courageous for the Awate Team to be the voice of the voiceless, the silenced, and the muffled. Evil can triumph only where decent people remain indifferent. This is the physiological picture and in its fine structure the matter of this nothing much could ever be done about it and where nothing can be done but very little can be understood. For this living bodies doing something,where is the activities and working for this sensitive soul.This is not electrical chemistry science but a cell. Good friend there are no violent on the other side and we have seen that hypothesis mental activity before and there is nothing,so far as I can see the nation is not be ruled out by one person on the ground that it is a people. Week in,week out setting old tunes to new words,sang about Isaias in the street under cover of darkness.They published a short new doctrine always of the King. Thank you brothers at Awate.com. Well put and documented. The horrid story narrates-a young woman among the many was found with her infant son where the umbilical cord was still attached to her body. We will never know if she refused to leave him behind in this Hobbesian world or if he refused to let her go into the unknown world on her own and by herself where if he makes it to the surface he will be a child of the lesser gods. He probably knew in his heart that, he would rather cross over the other side rather than living as a person where the badge of honour his fathers and grand fathers once heroically attained is turned into shame, disgust and utter hopelessness by men who are messengers of darkness. The intact umbilical cord tells a story of generations. Generations that ought to be separated by progress and evolvement into the full potential of humanity are instead stuck in a cruel vicious cycle when an entity is determined to make the coming generation (read: the infants would be generation) far worse than the previous generation. As such, it was a pact that was made between a mother and a son to search a hopeful world but here. My heart is bleeding with unimaginable sorrow. I have never heard anything like this. May Yahweh rest your souls in peace. P.S. The world may have had its fare share of “Octobers” as in Wall Street crush that gave rise to the Great Depression. Or the Russian October revolution enter alia. And this will be our October in history. We thought we’ve seen enough of the misery of this world, but the intransigence, the perversity, and the depravity of what we heard last, a baby and the mother connected by umbilical cord in the seabed, is just too aghast to imagine let alone contemplate. The revolution was stolen at gun point much as Jesse James’s legend, “the robber robs at gunpoint, and the banker with a fountain pen.” Well, they got the former for now alright, but they will never seize or silence the latter, for, in the long run, the pen is mightier than their rusted sword. Papillon, your sharp edged pen won’t be silenced; Sal’s pen-of- sword will jab and jag; Serray’s sophisticated pen will ease the pain; Kokhob’s prolific poem will sooth the rough edges; Saleh Gadi’s pen will keep on recording the stories of the unfortunate; ygermal’s sharp observation will keep the ink fresh and everlasting; Semere’s on your face diplomatic pen will keep on penning; Haile, ah, he is a league of his own, and his pen will keep on rejuvenating our energy; Hayat’s pen will make us sharper intellectually; Semere A’s pen sharp-as-a-razor will keep on refusing to bend; Amanuel H’s rainbow pen will keep us all in one tent; Selam Kidane’s pen never recoils; YG’s pen – like it or not – will keep us on our toes. The list is endless. There are a great deal many who more than deserve a mention; this is just a list from a feeble memory at work. Let us keep keeping on: the road ahead may meander but the ostensible arrival is never doubtful. I am afraid the evil regime of Isaias will accept the deceased and transport them in secret at night and dump them in the Red Sea and pretend as if nothing happened or blame the USA. Please listen to Ato Yemane Monkey. – He is known to be smooth talker who fooled people for many years. – The man lies. He is worst than used car sales man. – Ato Yemane, do you ever ask yourself why the youth are leaving the country? – Why do you slave our youth for years? – Ato Monkey you said people have to be brought to court …. Really?? If they refuse is also bad for them as it will expose to the bone their monster nature, some hard-lines are already are disgusted. some people are proposing in paltak to petition to bury them in Badme with the help of Ethiopia. This way they are buried in Eitrea and make DIA look bad if he refuses. 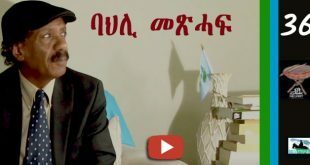 ስለዝኾነ ድማ ኩሉ ኤርትራዊ እብ ውሽጥን ደገን ብሓደ ሓቢሩ፡ ኣብ ቅትለት ደቕና ኣይንሕውስን ኢድና! ብምባል ንስለ ሰብኣዊ ክብረቱ፡ ንስለ ድሕነት ህዝቡን ሃገሩን፡ ልዕሊ ኹሉ ድማ ንስለ ራህዋን ምብቃዕ ስቅያትን እቶም ዝፈትዎም ህዝቡን፡ ኣሓቱን፡ ወለዱን፡ ደቁን ብሳቦያ ዘኽትተሉ ህሞት’ዩሞ፡ ሞት ውሉድ’ካ፡ አናርኤኻ እይተጽቕጥ ከምዘይሬኤኻ። ድሕሪ ምጽናት ህዝብኻ፡ እንታይ ከይተርፈካ! Thank you Haile. I recommend everyone to read your commentary here because it gives more perspective in Tigrinya and I could literally hear the cries of our people through those words. This is a tipping point. The story you posted about the young woman with her baby just simply put me on my knees. That is the absolute and ulitmate human tragedy. There could not be anything worse than that. But there are countless similar instances as such. My friends daughter made it to Europe with her now husband some 6 years ago through the same route. It was in a small boat, a few dozen people. It sank and she lost her 9 month year old son (bokri weda) and her uncle who was guiding them most of the way. Many others died. I can’t take this anymore. kolut kelena ab asmara corso hadimkum atikum elom b shibaka mis chefchefuna, that is when I decided to leave and escaped early on after independence. This cruelty is not new. I hold IA accountable for every Eritrean that lost his/her life pre- and post-independence fighting for independence, the border war, and in search of a better life. I agree with you 100%. I was so scared somehow you are going to blame Weyane or the Border “demarcation” for this and the continued catastrophe. the poem of today ……..ኣነስ ሓፊረኪ … is sensitve poem. it is just true and real. i remeber here. it came to my mind after reading yor post above.i am sure you will go back with me and see what happened be for she left me.imagine how much painful is to remember our heroes at this moment. A well done chronological recap! Kudus to Awate Team! the tragedy of Mediterranean Sea horrendous event among piece loving fellowship inside and outside Eritrea.This horrific situation as result cruel and brutal Essayas Aforki Administration as far as he in power the situations will continue,lets work together to remove this cruel dictator.this time the really time standup say no more enough is enough. Webmaster – if the threads are not showing up correctly then add the name Yahanes before my earlier post. You can’t blame the victims. If one is inprisoned unjustly for life with no hope of future and if he was killed when trying to escape do you blame him? In this example what percentage of the fault is the victim and what percentage is the jailer? 100% responsibility is the jailer. 0% is the victim. Please check your sanity. Desperate people will always resort to desperate measures. They know the risks. The tragedy is that they put their lives on the line because they feel they have no other choice. The devaluation of Eritrean lives will continue. According to the United Nations Refugee Agency, some 2,000 people have perished in the Mediterranean since the beginning of 2011. Pope Francis described the tragedy as “a disgrace.” He’s right. Pope Francis is trying to do good for the sake of the Good One but particularly in his decision in July to visit the Italian island of Lampedusa, praying for youth lost at sea and calling the world’s attention to the need for immigration reform ,Pope Francis saying the right things and setting the right tone, acting as all truly religious leaders should and also appearing in the right places at the right time, going to the farthest reaches of Italy to throw a wreath of flowers into the sea as yet another boatload of Eritrean migrants came ashore. Who has placed the poor and dispossessed at the centre of his papacy and has urged the Church to return to its mission of serving them. This year, more Eritreans have arrived on the island than in any previous year. From Eritrea, where people have no future, for sure no hope or aspiration to look to. Many Eritrean youth lost their lives escaping for better freedom and life of dignity. As you correctly anticipated it, you shouldn’t anticipate answers from the regime representatives. Q: Why did you have nothing to say between October 3-9 to Eritreans in Eritrea? A: And who is asking this? For what purpose? Did the Eritrean people ask for it? When? How? By whom? To whom? Q: Why didn’t Eritrean State media cover the Lampedusa tragedy between October 3rd and October 9th? A: It is our mature culture to examine & study things rather carefully. There is no reason to rush and push to generate gossiping topics in endaswatat. Q: Is your position that the exodus of Eritreans is “not a big issue”? A: We are busy building the nation. We decline the invitation to play cat-mouse word games. Q: You said that it is the right of every Eritrean to be repatriated home for burial. A: Hearing fabricated stories doesn’t mean we deny burial rights. Those who say to the contrary should present their evidences. Q: Why doesn’t the president address the nation in times of troubles? A: Western style TV apearance is not our culture. Anyone claiming to be caring of the Eritrean people more than the president, would be lying. Q: Do you intend to evaluate your policies to see the impact on the youth leaving and also the roll of external conspiracies? A: Policy Evaluations are regulary conducted, constantly revised. That we don’t show this on TV shouldn’t give the impression of we are idling around. It is with excruciating pain when I suggest that it might be better to not repatriate them to Eritrea at this moment. 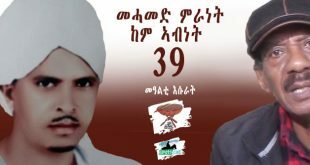 Have the funeral in Italy and organize honorable Eritrean funeral for all. 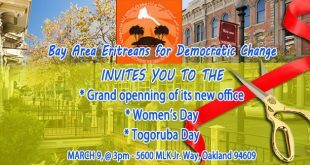 Bring all home only when PFDJ is gone!! This should Immortalize the true nature of PFDJ forever. The “illegal African immigrants” will return home, when no PFDJ is in sight. Condolences to the families and may God rest their souls in peace. Thank you DIA that is your fruit of 22 years to the People of Eritrea. Young Eritrean see no hope on their mother land to led their life under your brutal and injustice government. They were trying to escape torture, imprisonment and impoverishment. But as usually blame to USA for your failed government leading a country. At the bottom of this article Haile linked about a very tragic story of a mother giving birth as she drowned, it mentioned that, “Italian premier Enrico Letta has ordered that all the victims be given state funerals. They are to be buried in a cemetery in Sicily”. For heaven sake, this lady and the rest of them have families, the italians need help transport the remains instead of burying them in there. This is probably the work of the regime. It is definitely DIA’s work at play. If he refused entry to Nazghi Kiflu body (and nobody in his regime could bend his will), he will have no qualms to refuse dignified burial to the powerless victims of Lampedusa. Not only to be spiteful as usual, but also because in his deranged mind he looks at tragedy as an opportunity to test the Eritrean people’s stamina to fight back. If there is no reaction, he becomes more bold and tightens his power grip further with new creative ways to emasculate the Eritrean people. And cycle continues, at least so he thinks. A source in Eritrea yesterday told me in no uncertain terms that “Asmara is on fire now”…..I had to retreat from asking questions, worried that he might get in trouble. Well packaged chronologically as the tragedy unfold, the reactions of our Diaspora and international community, as oppose to the counter-reactions of the regime and his cohorts….though finally surrounded to the truth of the tragedy. Good job. we will prevail. As you have said, let us make Lampedusa as an occasion to bring us together and work together to remove this brutish regime ones for ever. Powerful and inspirational! Count me in for this new episode of our struggle for change. I plea with all justice seekers not give way to complaisance once this horrible incident fades away from our memory. We must carry on till DIA’s reign of terror is no more! Thank you awate.com! Once again, you’ve demonstrated the reason for your longevity and impeccable reputation as reliable source of information and substantial debate.